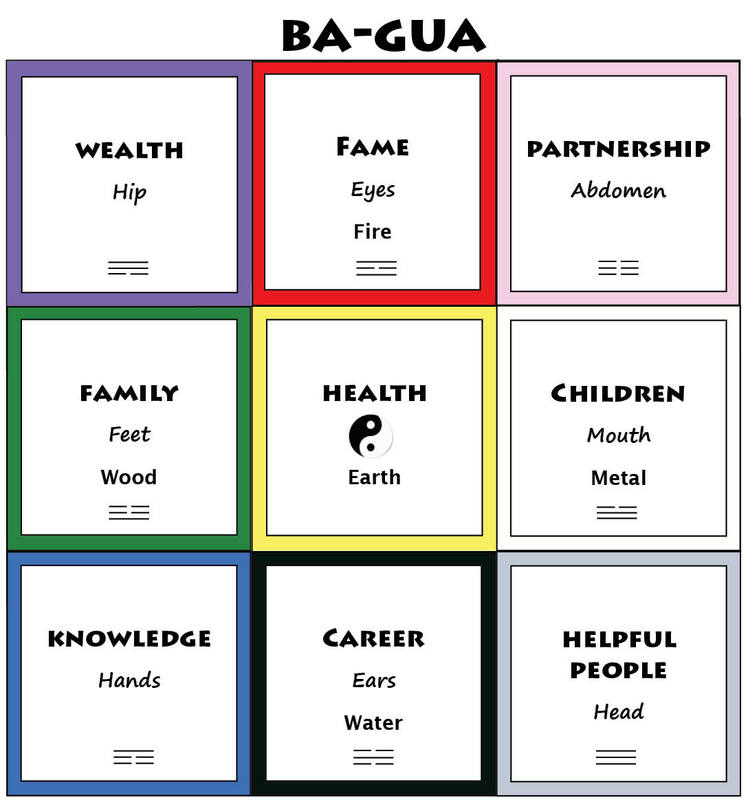 The Ba-Gua is a basic octagon shaped tool used in Feng Shui to analyze the energetic qualities of a space. The words “Ba” in Chinese means eight and “Gua” means trigram (3 part symbol). A Ba-Gua consists of 8 trigrams each with its own energetic/life meaning. Each of these areas corresponds to aspects of your life. 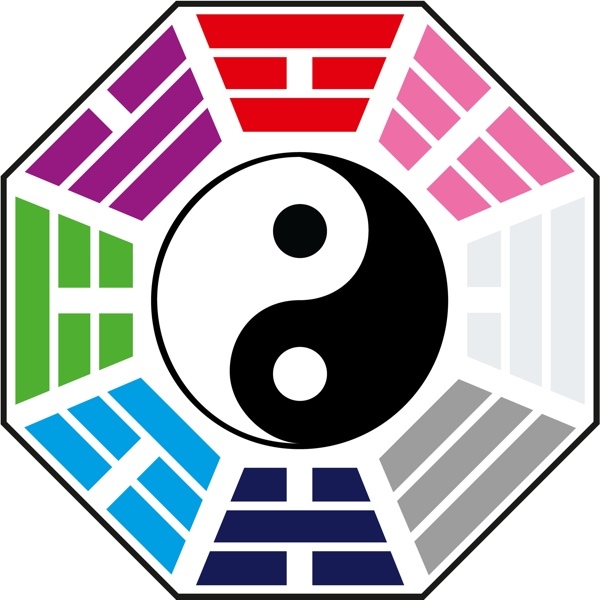 In the center of the diagram is Tai Chi or Yin/Yang, a symbol designating balance. In order to use this Ba-Gua tool a space must have a definable perimeter (walls) and a designated entrance door. The bottom edge of the Ba-Gua is placed along the line of the front door. Since the Ba-Gua shape is an octagon and there aren’t many octagonal spaces, we often see the Ba-Gua drawn as a rectangular shape. That’s fine, as the 9 areas still remain in the same relative position with the same meanings. Each gua (or area) has specific attributes associated with it such as – color, a shape, body part association, family member association, element and many more. The Ba-Gua is placed over a drawing of your home/office, or a room, to understand how the corresponding areas are affecting your life. There’s so much the Ba-Gua can tell us about how our space is affecting us. And it’s just the first step on your Feng Shui self-discovery journey. Not sure if it’s the right time to schedule a consultation? Think you might be interested a a Whole House Consultation? Do you want to start small with just 1 or 2 rooms?